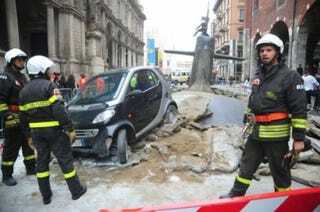 Submarine gets lost and surfaces in down-town Milan!!! Somebody fire that navigator! also, just how big are their underground aquifers? !